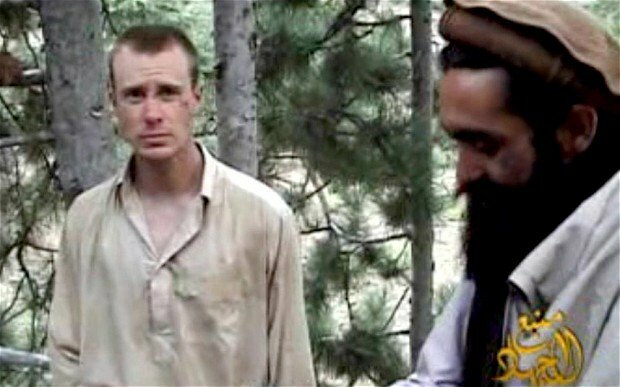 US Army Sergeant Bowe Bergdahl, who has been held by the Taliban in Afghanistan for nearly five years, has been freed in deal that includes the release of five Afghan detainees, US officials say. The 28-year-old soldier was handed over to US forces in good health, the officials said. The five Afghan detainees have been released from the US prison at Guantanamo Bay, Cuba. They were handed over to Qatar, which mediated the transfer. Sgt. Bowe Bergdahl was the only US soldier being held by the Taliban in Afghanistan. Officials said he was in good condition and able to walk. He is expected to be transferred to Bagram Air Field, the main US base in Afghanistan, and then on to the United States. President Barack Obama said in a statement that Sgt. Bowe Bergdahl’s recovery “is a reminder of America’s unwavering commitment to leave no man or woman in uniform behind on the battlefield”. Officials said the Taliban had handed him over on Saturday evening, local time, in eastern Afghanistan. Several dozen US special forces were involved in the exchange, they said, which took place near the Pakistani border. Sgt. Bowe Bergdahl, of Hailey, Idaho, had been held since June 30, 2009. Defense Secretary Chuck Hagel said Sgt. Bowe Bergdahl would be given “all the support he needs to help him recover from this ordeal, and we are grateful that he will soon be reunited with his family”. He thanked the emir of Qatar for his role in enabling the transfer to take place.